Artesian Spas are built from the ground up to the highest standards. They start by building their frames using only pressure-treated lumber on top of a full ABS Base. This solid foundation is covered with their beautiful, durable cabinets. The space between the maintenance-free cabinet and the structure is filled with insulating foam. This full-foam insulation provides the most efficient heat retention rating available in any spa, and it also dramatically increases the lifespan of the spa. It makes the whole structure stronger, quieter, and more durable, in addition to protecting the plumbing from unnecessary wear due to vibration. They top it all off with their durable, hand-sculpted acrylic shell with a lifetime Diamondbond backing. The jets rotate on bearings rather than plastic for ease of adjustment, and the pillows are a dyed-through, closed-cell foam to prevent cracking, discoloration, and water absorption. Artesian builds a spa the same way a good house is built – to last! The innovative patented DIRECTFLOW Personal Control®Switchless Motor and Direct Plumbing System combined with the VARIABLE FLOW CONTROL (VFC) provides each user the ultimate individual control and hydrotherapy experience. 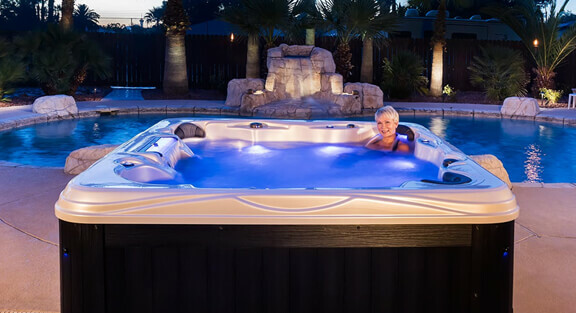 South Seas Spas – Stylish hot tubs with powerful performance. 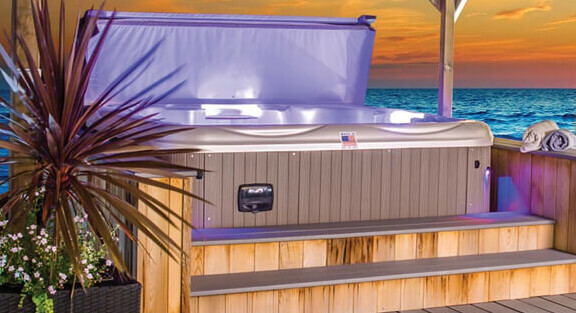 South Seas Spas are built to the same world-class standards of quality for which Artesian Spas (May Manufacturing, LLC) is known around the world. Whether you choose our Deluxe or Standard spa, you can be sure you will feel the mental and physical benefits of hydrotherapy as it washes away the stress of everyday living. Designed with an ideal combination of innovative engineering and artistry, South Seas Spas are in a class of their own. Garden Spas are designed and manufactured to fulfill the quality standards of our discriminating consumers; those who require efficiency, quality and aesthetic appeal. 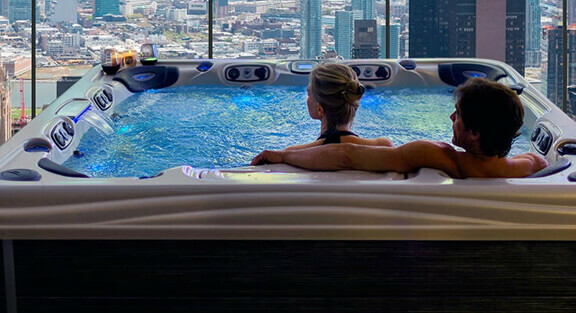 Built with an ideal combination of innovative engineering and artistry, condo and town home owners are no longer excluded from owning a hot tub. Garden Spas are small hot tubs designed especially for use in smaller homes and tight spaces, indoors and out. Garden Spas plug into a standard wall outlet, for an easy plug and play experience. Please call 254-772-9667 or complete the form below and we will be in contact shortly.